Have you ever wondered what it takes to be an Entrepreneur? 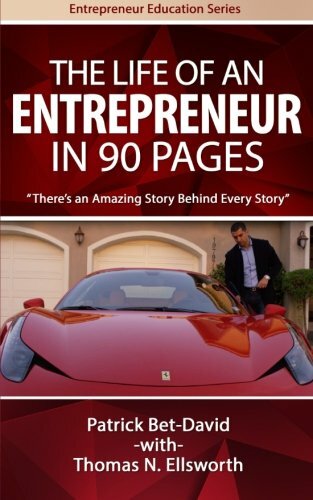 The purpose of “The Life of an Entrepreneur in 90 Pages’ book is to help you lay a foundation to achieve your dreams. Many people have passion and a burning desire to achieve something more but need direction and assistance focusing their energy. In this book, I have outlined six key points on the path to experience the life of an entrepreneur. These points will become your personal “compass” and will help you point the way to setting a vision that is uniquely yours as you pursue your dreams. 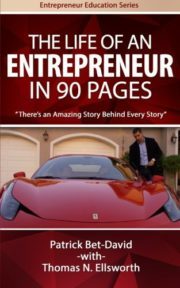 You will also get a glimpse into the lives of several very successful entrepreneurs along the way. 6. Drifting or Driving – The Challenge! My hope is that this book motivates you to action and you personally discover the satisfaction of the life of an entrepreneur.